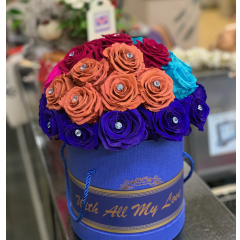 Our Forever rose hat box ...only available at Fremont Flowers. These real preserved roses last up to two years. 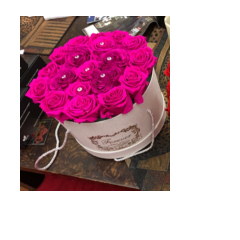 This gift is available for pickup or delivery in our local delivery area. PLEASE NOTICE: colors and styles will vary Feb 13th-14th for late orders. Box style subject to change without notice. 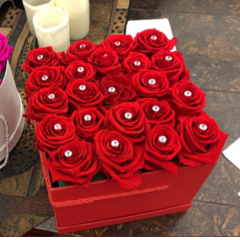 See additional pictures for our pink and mixed color assortment ***ONLY ONE of EACH style LEFT*** We will contact you should we sell out of the style selected.